Q. Each set took more than one hour. How difficult was it to keep your concentration against Kei? RAFAEL NADAL: I think the concentration for me was okay the whole match. I think I played very focused, fighting for every ball.Kei played fantastic match, in my opinion. Just a few mistakes in some moments that was tough ones. But for the rest, he played very aggressive, he went for the shots. He came on court with determination to take the ball very early and go for the winners.He really had the right feelings to do it. So just was a tough match, a very important win. Very happy. Q. The game looked a lot closer than the scoreboard suggested. Is that how it felt out there? RAFAEL NADAL: 3 hours 16, the score says that the match was very tough. Is true that it was in three sets. I felt like I won in three sets today because every set was very tough.But playing for every set more than one hour is because the match was very close. He was playing great. Was a lot of tough points. I had to run a lot. Q. Is that the sort of workout you wanted for the first day of the second week? 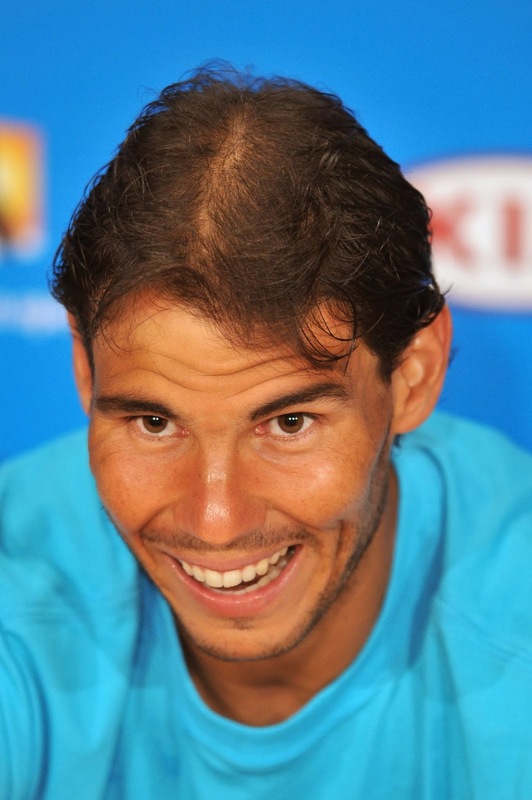 RAFAEL NADAL: I don't prepare. I looking forward to play my best and try to win every day. I go on court trying to play my best every day, trying to play aggressive. Sometimes works better, sometimes works a little bit worst.Today, were much different conditions than few days ago with playing night session. So was windy. The feeling was not the same. Was little bit worst, my feeling.He was able to play more inside. I think I played a little bit too short. The other day I was able to hit longer and to take advantage with my shots. Today I didn't make it.I think he was in a better position on the points than me more times. So that's something that cannot happen. But is true that is tough to change that when the opponent is decided to hit winners from everywhere. Q. Last time you played Kei in French Open was way easier than this time. Was it the difference in surface? RAFAEL NADAL: Always it's tough against him in every surface. He's a very complete player. He's very quick. He's able to do the most difficult thing in tennis, that's taking the ball early and changing the directions. He's able to do it easy, so...Kei is a potential top 10 player. So that's the real thing. Is a great victory for me. Is true that is difficult to compare clay with hard. In clay, playing on clay is a little bit more difficult than play the way he did today.For example, you play that inside. You are not hitting every ball perfect, you will be in trouble, because your position, you know, you're going to be inside and the opponent will have a chance to hit higher, longer. So will be tough.Playing on clay is more difficult play that aggressive game because the ball have higher bounces and is more difficult to play that inside. Q. If you could change the rule for the time between points, how would you change it? RAFAEL NADAL: I don't want to change no one rule. Just I accept that sometimes I was slow. I respect that.But what I think, in my opinion, is not right, you know. In that game I think I played a very, very tough point with the 15 All or something like this. So I runned for every ball, crazy point, and then I was back.It was on deuce. The negative thing in my opinion is not the warning. The negative thing is the moment, 4 All, deuce. You can choose another moment to do it, not that one.Another thing is she didn't advise me before the second warning that I was still going slow. So normal thing, if the referee, you know, is interesting on help little bit the player, the normal thing is say, Rafa, you are going too slow. So I try to go quicker, before the second warning.But she didn't make it. She is able to not doing. The rule says you can do it. But, in my opinion, that goes against the show. But that's fine. If she wants to do it that way, she did. She did, and that's why we are talking that here. Q. Maybe after really long points or if it is very hot, do you think it would be appropriate to make a little more time? RAFAEL NADAL: The word is not rules or not rules. The word is understand the game. That's all. We need referees who understand the game. The rules cannot go against the good show. That's all.If you are playing with 40 degrees, you cannot expect to have 20 seconds recover, 25 seconds recover. If you are playing crazy rallies, you cannot have 25 seconds recover because then you will not have more rallies because the players cannot have it. So that goes against the fans, against the show.But I repeat: nothing against the rules. I accept the rules. Sometimes I am wrong. Sometimes I am too slow and I accept that. I respect the decision of the referee even if I am not happy for that, because was not the right moment to do it, in my opinion, before an advise. But she did. That's all.I going to try to go quicker for the future. But is important to have people on the chair that really understand the game and people who manage this sport who understand the game, and that's it.Because, if not, every time with Hawk Eye, the referee just start watching the watch, 25 seconds, then warning, so then we don't need any more referees. We only need lines. That's fine.Because if not, the referees don't need to do all the rules. That is my feeling. We are making the referees worse than before with all the things that we are making for them easier. Q. How is your hand doing? RAFAEL NADAL: So so. (Showing hand with blister). Q. Is that one of the worst blisters you've ever had? RAFAEL NADAL: The problem is not the blister. The problem is the place. Is very difficult to cover that blister here. Is not painful, but I cannot play without that cover today.Is a little bit hard because with that cover, is true, that you can imagine that is something that I didn't use never. I used one time in my career, or twice. Is different than the ones I am using every day, that I already feel the ball, feel the racquet with all that. That's something new. The feeling on the racquet is a little bit more difficult. Q. Is that why you didn't manage to push as deep as you usually do? RAFAEL NADAL: No. I didn't push as deep as I am not usually do. I do when I am playing well. When I am not playing that well, I run and I fight for every point as I did today.But, no, because some days you play better, some days you play not that good. I didn't play bad today, but I didn't play as good as I did two days ago.But the victory of today has much more value than the victory of two days ago. Because when you are playing that good, the normal thing is win. When you are playing normal and the opponent is a good one, you are able to keep winning, that's have much more value. Q. You didn't bring a second pair of shoes to the court? RAFAEL NADAL: I never bring second pair of shoes on the court. I have in the locker room. I never break my shoes on the court. I didn't break my shoes, I break my lace, something that never happen in the past for me.No, no reason to bring another shoes. I have another one in the locker, but Nike shoes are very good. Never break (smiling). Q. You make dozens of routines before each serve. Why don't you do this during practice sessions? 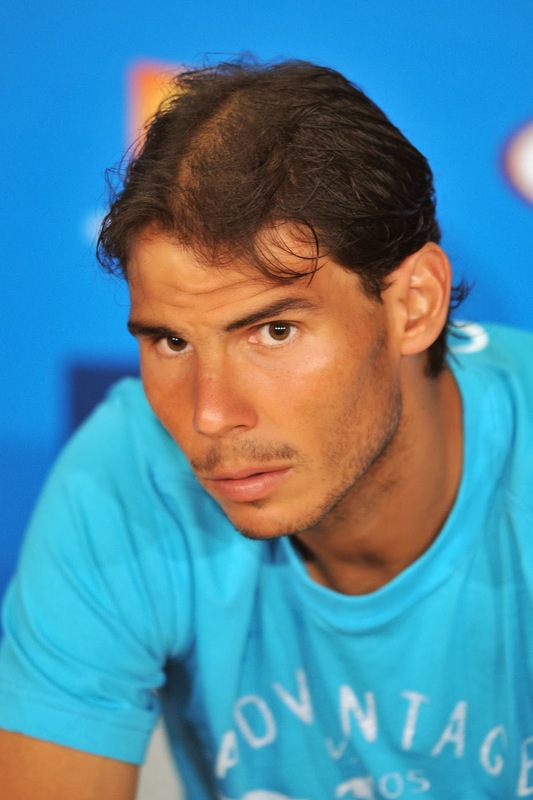 RAFAEL NADAL: Because I am not that focused.